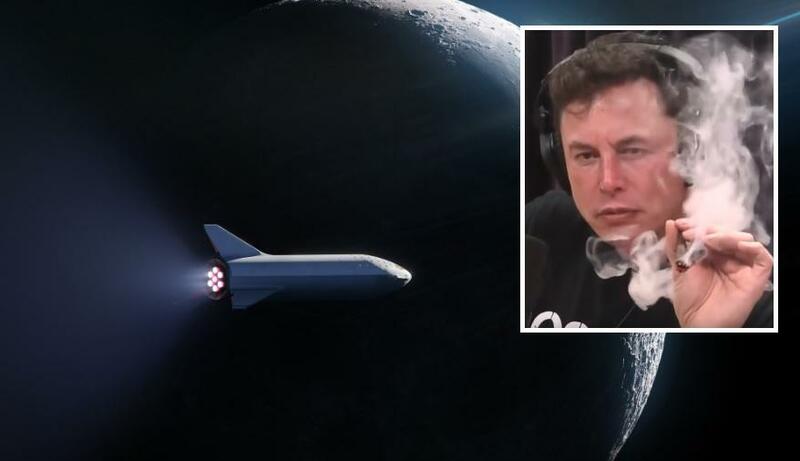 A new report has revealed that NASA has launched an extensive "safety review" of SpaceX and Boeing after Elon Musk smoked legal marijuana during the "Joe Rogan Experience" podcast. The Washington Post report says NASA will be assessing the culture and the two private companies that will be shuttling NASA's astronauts to space. The report cites three officials who did not want their identities revealed but did confirm that the review was provoked by Elon Musk, CEO and CTO of SpaceX, smoking weed. Musk was on the Joe Rogan Experience podcast in September and the episode is one of the most popular yet. The JRE podcast has regularly maintained its spot in the top ten iTunes podcasts on Apple's platform. Musk was somewhat reluctant when Joe Rogan sparked up a joint and passed it to Musk who looked at it cautiously. He eventually took a puff and said, "It was fine". This is certainly not a big deal in reality and is no different than if the billionaire tech genius had taken a shot of whiskey. The government is still holding onto its old ways and the stigma surrounding the plant. After the interview was aired live, a U.S. Air Force spokesperson said that it was determining "the facts and the appropriate process to handle the situation". The U.S. Air Force doesn't seem quite as concerned over the single puff of marijuana that Musk took as NASA is who has launched a full-scale investigation into just SpaceX but Boeing also. According to the Post, the interview where Musk took a puff "rankled some at NASA’s highest levels" and prompted an overreaction that will see hundreds of interviews over several months during the agency's safety audit of both companies. NASA told Gizmodo "a cultural assessment study" of the agency's partners to determine whether they are adhering to guidelines, "including the adherence to a drug-free environment." A NASA spokesperson said, "We fully expect our commercial partners to meet all workplace safety requirements in the execution of our missions and the services they provide the American people. As always, NASA will ensure they do so." Joe Rogan who hosts the podcast Musk appeared on only had one thing to say to the news of the investigation over the marijuana smoked on his show, "LOL WUT". A SpaceX spokesperson said, "For years, our engineers have worked side-by-side with NASA, creating a strong partnership and guiding the development of Crew Dragon—one of the safest, most-advanced human spaceflight systems ever built. In addition, SpaceX actively promotes workplace safety and we are confident that our comprehensive drug-free workforce and workplace programs exceed all applicable contractual requirements." SpaceX originally won the contract in 2014 when NASA Administrator Charlie Bolden said, "Turning over low-Earth orbit transportation to private industry will also allow NASA to focus on an even more ambitious mission—sending humans to Mars."